Breese is a Vice President of the Criminal Lawyers Association. She is an adjunct professor of Criminology at the University of Toronto and at Osgoode Hall Law School. 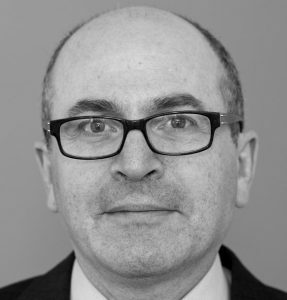 Breese is the former editor of For the Defence magazine published by the Criminal Lawyers Association. Breese has also done volunteer legal work in Nigeria through Avocats sans frontiers Canada. Breese is a member of the Board of Regents at Victoria University, University of Toronto. Called to the Bar in 1975, Minor holds an LLB from the University of Toronto and an LLM from Osgoode Hall Law School. She has worked in public law since 1977, and up until her election as Treasurer in 2014, was general counsel in the Constitutional Law Branch of Ontario’s Ministry of the Attorney General. She has argued many significant cases on behalf of Ontario at all levels of court in Ontario, and at the Supreme Court of Canada. 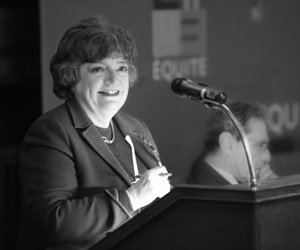 She has been a frequent speaker and participated in education programs on public law and an Adjunct Professor at both the University of Toronto, Faculty of Law and Osgoode Hall Law School. Minor is a founding director of the Association of Law Officers of the Crown (ALOC), past director of The Advocates’ Society, and has served on the boards of the Law Foundation of Ontario and the Ontario Justice Education Network. She was first elected as a bencher of the Law Society in 2001, then re-elected in 2006 and 2011. She was elected to the position of Treasurer of The Law Society of Upper Canada from 2014 – 2016. She was the 4th woman to hold that position and the first Treasurer from the public sector. 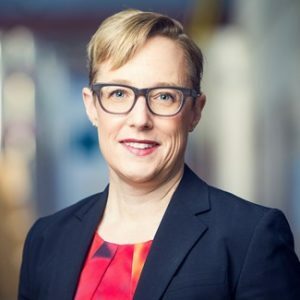 She has received the Women’s Law Association President’s Award (2003), the Ontario Bar Association’s Tom Marshall Award (2010), the ALOC Carol Creighton Award for Contribution to Public Law (2013), and a Zenith Award celebrating leading women lawyers from Lexpert (2013). Raj Anand is a partner and an arbitrator and mediator with WeirFoulds LLP. His practice includes the areas of administrative, human rights, constitutional and employment law, civil litigation, professional negligence and regulation. In his third term as an elected Bencher of the Law Society, he is currently the Vice-Chair of the Law Society Tribunal’s Hearing Division. He was a member of task forces or working groups on admission requirements, articling, good character, Law Society governance and Tribunal reform. He was Vice Chair of the Equity and Aboriginal Issues Committee for five years, and is currently Co-Chair of the Working Group on Challenges faced by Racialized Lawyers and Paralegals in Ontario and Chair of the Three Year Review of the Tribunal reforms. Raj graduated from the University of Toronto Faculty of Law with the Dean’s Key in 1978. He has served as President of the U of T Law Alumni Council, the Minority Advocacy and Rights Council, the International Commission of Jurists Canada, and Pro Bono Law Ontario; Co-Chair of the U of T Tribunal; and board member of the Advocates’ Society, Legal Aid Ontario, the Law Commission of Ontario, the Centre for Addiction and Mental Health, Justice for Children and Youth, and the Income Security Advocacy Centre. Raj was Chief Commissioner of the Human Rights Commission in 1988-89, Board of Inquiry from 1989-94, and founding Chair of the Human Rights Legal Support Centre in 2008-10. Raj has taught “The New Administrative Law” at the masters level, and “Legal Ethics: Legal Values” and “Diversity and the Legal Profession” at the JD level. He was the first recipient of the Advocates’ Society Award of Justice in 1997, and has since received the Law Society Medal, the Professional Man of the Year award of the Indo-Canada Chamber of Commerce, and the South Asian Bar Association’s Distinguished Career Award. In 2013, he was an inaugural Roy McMurtry Visiting Clinical Fellow at Osgoode Hall Law School. John Norris was appointed a judge of the Federal Court in March 2018. He previously worked as a practicing lawyer in Toronto. He received a B.A. (Honours Philosophy) from Carleton University and an M.A. (Philosophy) from the University of Western Ontario. He received his LL.B. from the University of Toronto in 1991 and was called to the Bar of Ontario in 1993. Since then he has maintained a trial and appellate practice in the areas of criminal, constitutional and national security law. He is an adjunct member of the Faculty of Law, University of Toronto, where he has taught Advanced Criminal Law, Evidence Law, Advanced Evidence and Legal Ethics, and of Osgoode Hall Law School, where he has taught in the part-time LL.M. Program in Criminal Law. 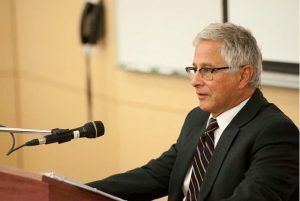 He is the author of several scholarly articles, an Assistant Editor of the Canadian Rights Reporter and a frequent contributor to continuing legal education programs. He acts regularly on interventions by public interest groups in appeals before the Supreme Court of Canada. He is a past member of the Board of Directors of Canadian Journalists for Free Expression. In 2008, he was appointed by the Minister of Justice to the roster of Special Advocates for security certificate proceedings under the Immigration and Refugee Protection Act. In 2011, he received the Catzman Award for Professionalism and Civility. Joseph Arvay, who co-founded the firm of Arvay Finlay Barristers in 1990 with offices in Vancouver and Victoria, is recognized as one of this country’s most highly respected lawyers. His practice emphasizes constitutional and administrative law matters, and he has also been involved in many Aboriginal rights litigation cases, medical malpractice cases, class actions, commercial litigation and defamation. He has been counsel in a number of important Supreme Court of Canada cases including Andrews v. Law Society, Delgamuukw v. British Columbia, and Egan and Nesbit v. Canada. His exceptional commitment to human rights in this country has been recognized with numerous awards including the Walter S. Tarnopolsky Human Rights Award in 2000, the Reg Robson Award from the British Columbia Civil Liberties Association in 2005, the Trial Lawyers Association of British Columbia Bar Award in 2009, and this year, the British Columbia Civil Liberties Association’s inaugural Liberty award. He has been named as one of the top 100 best lawyers in Canada in a publication of the same name for the last three years. 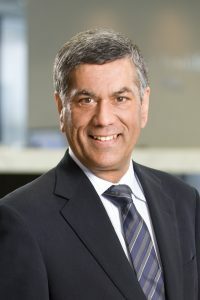 Arvay, who is a Fellow of the Litigation Counsel of America, was also recognized by Canadian Lawyer Magazine, in 2010 and again in 2011, as one of the top 25 most influential lawyers in Canada.